NAU leads the way to a better Arizona and a sustainable world through personal attention to student success and scholarly excellence. Academic programs, research, public service, and creative endeavors enrich lives and create opportunities in Arizona and beyond. We develop solutions to challenges and drive innovation in a supportive, inclusive and diverse environment. We focus on preparing students who are informed and skilled, ready for engaged, productive lives. We commit to the highest quality in all endeavors. We strengthen our community through diversity of cultures, experiences and perspectives. We operate with fairness, honesty, and the highest ethical standards. We engage in innovation to create, share and apply new knowledge, scholarship and artistry. We partner with our communities, in the spirit of collaboration, to provide services and expertise to support Arizona, the nation and the world. 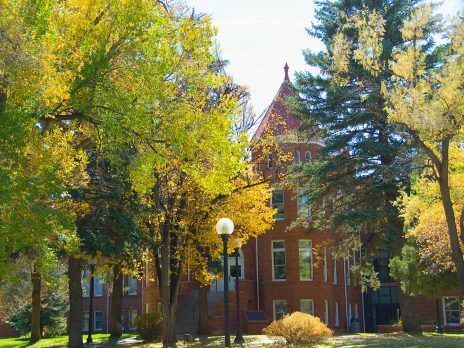 Learn more about NAU’s mission, vision, and values on the Office of the President’s website. On January 16, 1899, N.O. Murphy, governor of the Territory of Arizona (Arizona was not a recognized state until 1912), recommended that the unused territorial building, erected in Flagstaff in 1893, be put to use as a normal school (what Universities and colleges used to be called). Henry Ashurst, Coconino County Representative to the Legislature, introduced House Bill 44 on February 6, 1899 which authorized the establishment of the Northern Arizona Normal School. The first term began September 11, 1899, under the direction of Professor A.N. Taylor with Miss Frances Bury assisting. Twenty-three students enrolled the following week. The first graduating class, in 1901, consisted of four women who received life certificates to teach in Arizona. Learn more about NAU history and traditions on the Traditions website. University life can seem overwhelming at times, so we’ve created a guide for you to make sense of the most important parts! 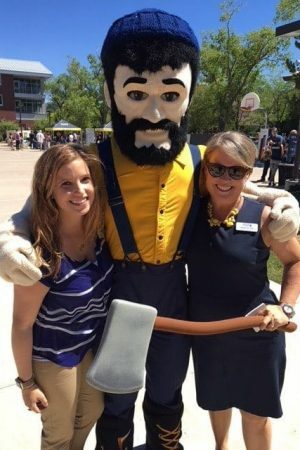 Check out Louie’s School Survival Guide and find out how best to prepare to be a Lumberjack!